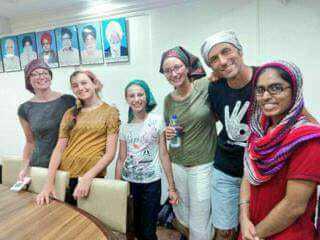 The French tourist family stuck in Mumbai floods on Tuesday went to three hotels in Dadar looking for a safe place before being directed to the Gurudwara. The family was offered dal khichadi for dinner and a small room by the Gurudwara officials as they were concerned about their safety. 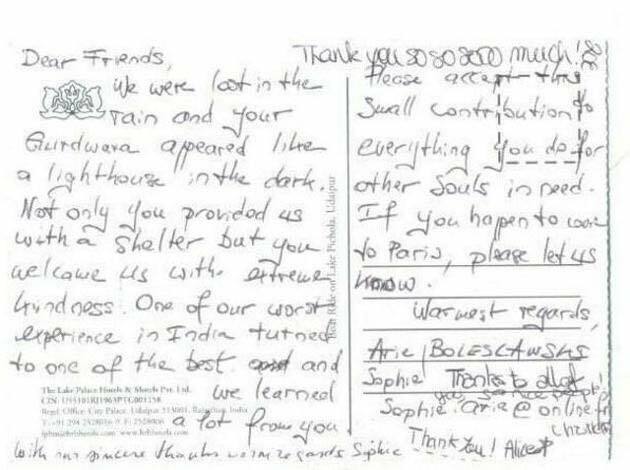 “One of our worst experiences in India turned (out) to (be) one of our best and we learnt a lot from you,” read the thank you postcard, written by Arie and Sophie Boleswaski and their three daughters to Dadar Gurudwara. The French tourist family stuck in Mumbai floods on Tuesday went to three hotels in Dadar looking for a safe place before being directed to the Gurudwara. “We were lost in the rain, and your Gurudwara appeared like a lighthouse in the dark. Not only you provided us with a shelter, but you welcomed us with extreme kindness,” said Boleswaskis in the thank you note. “They were one of 750 victims of Mumbai floods who came to the Gurudwara in need of shelter and food. 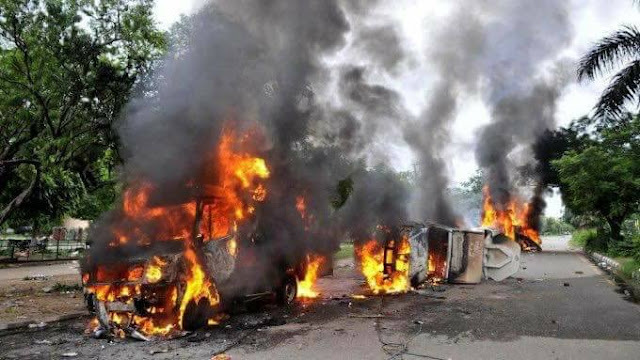 Considering their concerns and the fact that they are our guests, we ensured they are not inconvenienced in any way,” said Kulwant Singh, vice-president of Dadar Singh Sabha. Singh said the family was extremely worried after the transportation system of the city collapsed and couldn’t find a safe place to spend the night. “They went about one hotel to another, but couldn’t find a suitable place. 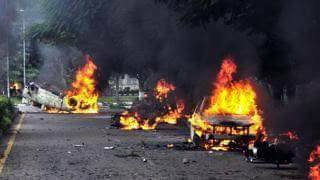 That’s when one of the hotel owners, directed them towards us,” said Manpreet Singh, one of the volunteers. While the family refused any other special arrangement and chose to sleep on floor after seeing the condition of their fellow victims of the deluge, in the morning they said it was the best night of their life, Kulwant said. As the family returned to their home town Paris, France, on Wednesday morning after the roads were cleared and transportation was resumed, but not without donating towards the cause of public welfare. “Please accept this small contribution to everything you do for the souls in need. If you happen to come to Paris, please let us know,” said Arie and Sophie Boleswaski in the postcard. Indian citizens deposited almost all the currency that was scrapped during demonetisation, shows data released by the Reserve Bank of India as part of its annual report. According to the report, specified bank notes (SBNs), or notes that were demonetised, worth Rs 15.28 lakh crore had been received as of June 30, 2017. When demonetisation was announced, the currency in circulation stood at Rs 17.97 lakh crore. 86 percent of this, or Rs 15.45 lakh crore, was rendered invalid by demonetisation. The RBI, however, said that this data was still provisional. Detailing the impact of demonetisation on currency composition, the RBI said that the value of banknotes in circulation declined by 20.2 percent over the year to Rs 13.1 lakh crore as of end-March 2017. The volume of banknotes, however, increased by 11.1 percent, mainly due to higher infusion of banknotes of lower denomination in circulation following the demonetisation. The RBI's balance sheet increased by 1.88 percent in the year ended June 30, 2017, showed the report. Factors that impacted the RBI’s balance sheet during the year included the need for more intervention due to a surge in liquidity post demonetisation. As deposits came in and liquidity surged, the RBI sucked out this excess liquidity through tools such as reverse repo operations. The central bank pays an interest to banks on the amount that they park with it through such a window. The RBI also incurred higher costs on printing currency. I voted for the cause to build New India https://newindia.in/causes/ poster-free-india/. ​Please open the link​ and vote for me. I need 5000 votes quickly. Please send to your friends and request them to do so quickly. Ram Raheem gets 20 years jail ! Labels: Bade be - abroo hoke tere kuche se ham nikle ! It's dengue season, but the city is in the grip of swine flu and chikungunya as well. Where 2016 saw fewer than 200 cases of swine flu, the count is already nearing 2,000 this year. The viral disease has killed at least five people while a 12-year-old died of dengue in south Delhi's Humayunpur last week.Those are only the official figures -five top hospitals told TOI they have recorded more than 40 swine flu deaths this year. Dengue is also spreading faster than in 2016, with roughly 30% more infections in July this year. While chikungunya wracked the city during AugustDecember last year, cases this year have been reported all through, with a clear uptick July onwards. It's unusual for three viral diseases to strike at the same time. “In 20 years of clinical experience, I have not seen this kind of spread of viral illnesses in Delhi. Dengue and swine flu are spreading with similar intensity . People have also tested positive for chikungunya,“ said Dr Suranjit Chatterjee, senior consultant, internal medicine, Apollo hospital. Some patients have also been diagnosed with multiple infections, for example, dengue and typhoid. “Four members of my family have been down with fever for a week. One of them has tested positive for dengue,“ said Kalpana Sharma, a resident of Greater Kailash-1, who is recovering from viral fever. “The fever takes a week or more to subside these days and the after-effects, like bodyache and fatigue, last even longer.“ The bad news is that the worst is yet to come as these viral diseases spread faster in September and October. “High levels of humidity in August, September and October aid virus growth and transmission,“ said Dr A C Dhariwal, director of National Centre for Disease Control (NCDC). Dengue and chikungunya are transmitted through the bite of Aedes aegypti mosquito; swine flu spreads from person to person when a patient coughs or sneezes. Doctors at AIIMS, Safdarjung, Lok Nayak, Apollo, Sir Ganga Ram, Max Saket and BLK hospitals said they have been managing the patient load by utilising beds in non-active departments or creating special wards. But a spike in infections could soon lead to a shortage of beds. In 2015, the Delhi government ordered hospitals to postpone elective surgeries to accommodate dengue patients. Last year, special wards were opened in big hospi tals to deal with the rush of dengue and chikungunya patients. Public health specialists said the looming crisis shows how governments have failed to prepare for viral illnesses spread by mosquitoes and diseases like swine flu. “The least they can do is raise awareness about preventing the spread of diseases.Dengue and chikungunya, for example, can be reduced significantly if collection of water in household utensils and overhead tanks is stopped. For swine flu, simple measures like maintaining hygiene and staying away from infected people can save so many lives,“ said Dr Rommel Tickko, senior consultant, internal medicine at Max Saket. The sharp increase in swine flu cases and deaths this year might be because the virus is of a different strain, said Dhariwal. NCDC and AIIMS in Delhi, and Pune's National Institute of Virology have found the `Michigan strain' of swine flu in circulation this year, as against the California strain in previous years. Dhariwal said accurate reporting of notifiable diseases such as dengue, chikungunya and swine flu is necessary to alert the local population to the precautions needed, and for the state authorities to prepare their action plans to tackle the rush of patients in hospitals. It's true ! 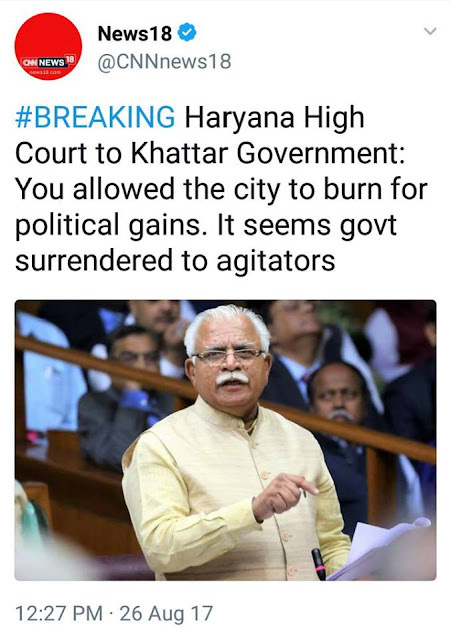 Any thing to say Mr Khattar ? Labels: Its true ! Any thing to say Mr Khattar ? Khattar Govt must answer ! How lakhs of dera premis were allowed to gather at panchkula, after the imposition of section 144 ? How Ram Raheem moved with around 800 cars towards Panchkula for the verdict ? 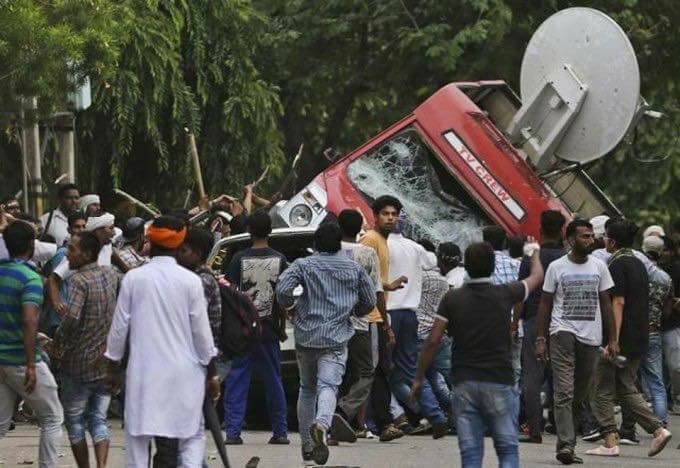 Entire media was shouting that those dera premis, had bottles of Diesel n Petrol. 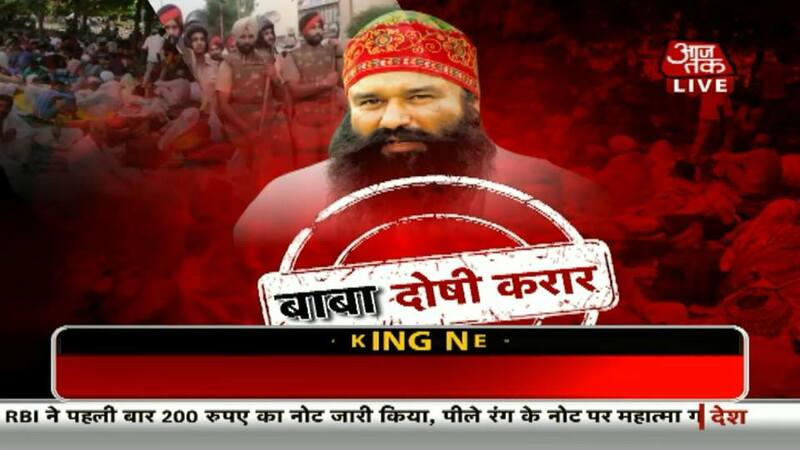 But Khattar Govt was just supporting the Dera, saying shardhaluon par 144 nahi lagti. SHAME !!!!! 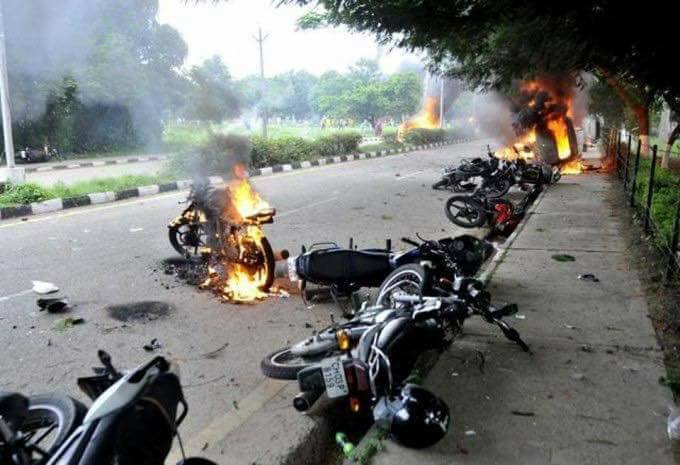 Labels: Khattar Govt must answer ! New Delhi: In a path-breaking decision, the Supreme Court on Thursday held that privacy is a fundamental right under the Constitution of India. However, like all other fundamental rights, it is not absolute. Apart from setting a new benchmark for Indian democracy and clearing all ambiguity on privacy, the historic judgement by the apex court has set the stage for the introduction of a new privacy law by the government. At the same time, by linking privacy with human dignity and preservation of personal intimacies, the apex court has laid the legal ground for a fresh interpretation of controversial issues such as decriminalization of homosexuality. While the fate of Aadhaar—to be heard as a separate case by a three-judge bench of the Supreme Court—is undecided, the privacy judgement provides room for its accommodation. It has done so by defining exceptional circumstances wherein personal liberty can be transgressed. Acknowledging the pervasion of technology, the apex court identified privacy of information as a subset of the right to privacy. And in this, it said that the privacy of information can be threatened by both state and non-state actors—by implication, social media platforms could potentially come under the purview of the new interpretation of privacy. Any encroachment to privacy will have to subscribe to the “touchstone of permissible restrictions”, the bench said. Consequently, invasion of privacy will have to be justified against the standard of a “fair, just and reasonable” procedure. Separately, the apex court acknowledged the central government’s move to draft a data protection legislation and the appointment of an expert group headed by former Supreme Court judge B.N. Srikrishna. The Supreme Court added that such a data protection regime should carefully balance the trade-off between individual interests and legitimate concerns of the state. “The government stands by the principles enunciated by Supreme Court in today’s privacy judgement,” said law minister, Ravi Shankar Prasad, welcoming the ruling. The opposition parties were also quick to do so. Offering an expansive meaning to privacy, a judgement co-authored by justices D.Y. Chandrachud, J.S. Khehar, R.L. Agrawal and S. Abdul Nazeer held that privacy in its core includes the “preservation of personal intimacies, the sanctity of family life, marriage, procreation, the home and sexual orientation”. “The judgement hasn’t fundamentally shifted anything but an explicit ruling has put privacy on a surer footing now. However, the judgement has established horizontal applicability. The right to privacy is now applicable against the state as well as against the private companies who possess large amounts of user data without consent or nominal consent of users,” said Pranesh Prakash, policy director at the Centre for Internet and Society, a Bengaluru-based think tank. Justice Chelameswar has included a woman’s freedom of choice to bear a child or abort the pregnancy, freedom to choose to work or not and the right to travel freely as falling within the right to privacy. The 547-page ruling also holds that the extent of state surveillance will have to be tested against the set standard while balancing individual and state interests. 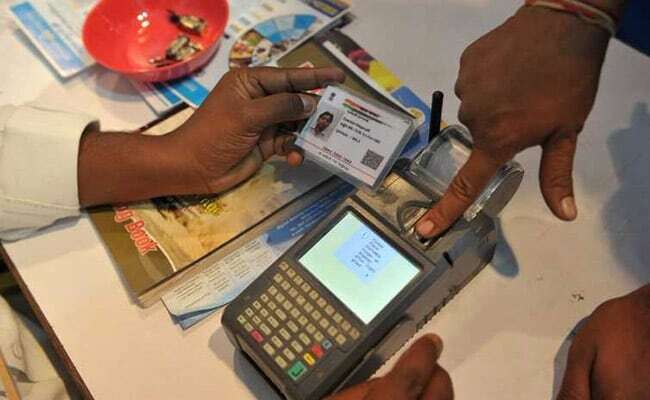 The constitution bench was set up on 18 July and heard arguments over three days each week by lawyers for the central government, states and petitioners who contended that the collection of personal details under Aadhaar infringed on the right to privacy. Arguments were opened by lawyer Gopal Subramanium, arguing in favour of a privacy law, as he urged the court to view privacy not as a shade of a fundamental right but as one that was “inalienable and quintessential to the construction of the Constitution”. Privacy was sought to be defined by Shyam Divan, counsel for one of the petitioners, who said that it would include bodily integrity, personal autonomy, protection from state surveillance and freedom of dissent, movement, and thought. On 26 July, as the centre began its arguments, it recalibrated its stand on privacy and conceded for the first time that privacy was a fundamental right under the Constitution—with the caveat that the right could not be extended to “every aspect” of privacy. Attorney general K.K. Venugopal had submitted that privacy was at best a “sub-species of liberty and every aspect could not qualify as being fundamental in nature”. You can decide and Fix any parking charges for the parking of vehicles in the Markets, Commercial places, multilevel parking, to de - congest the roads and to control the pollution. 1. Please note, for every sale of all such vehicles Govt has already earned a huge share in VAT, EXCISE, Registration charges, Road Tax as well the service tax on the insurance policies of these vehicles, and the Income tax from the genuine buyers. They are already earning a lot on the sale of Petrol and Diesel for all these vehicles. Even after the GST regime, they still have a huge share out of the 28% levied on vehicles. 3. When the colonies were developed years ago, prices of plots were decided on the basis of the size of inner roads in that area. The posh localities had wide inner lanes and therefore cost of plots was on the higher side. The middle / upper middle colonies had a bit smaller roads and therefore cost of plots was lesser than the posh localities. Whereas, the lower colonies had narrow lanes, and hence the cost of plots was also on the lower side. 4. Now after 40 – 50 years, if Govt says that these colonies are using the public land Free of cost, THEY ARE ABSOLUTELY WRONG, as we have already paid the price of such inner lanes via the purchase price of our residential plots. Do you think that developers of these colonies were that much fool to offer inner lanes free of cost, causing huge losses. 6. Sometime Emergency vehicles face some problem while entering the inner lane, and it must be given a serious thought that how Govt can purchase such emergency vehicles that can easily enter the narrow inner lanes. But how do they think that by charging the parking charges, way for the emergency vehicles will be opened automatically ? 8. The problem has erupted as Govt has not formed any vehicular policy for the sale and purchase of Vehicles. Everyone is free to buy any number of vehicles as Govt is GETTING HUGE SUMS BY WAY OF VAT, EXCISE, ROAD TAX, SERVICE TAX and, GST NOW of 28% and that too after paying Income Tax. Why don’t they attach the vehicles with the Pan Card to check and control the sales of vehicles ? 9. A typical vehicle stays parked 95 per cent of the time. A 2006 study by the Central Road Research Institute in New Delhi estimate that of the 8,760 hours in a year, an average car’s steering time is only 400 hours. This means it is driven for only about an hour a day. In Delhi this may be 3 to 4 hours a day. It clearly means that while parked at home, these vehicles for the 95% of time are not contributing to any Congestion or pollution. Please refer to the advertisement inviting suggestions on draft parking policy for Capital City of Delhi. At the outset I have serious apprehensions about the enforceability of the Draft Policy being prepared in view of the multiplicity of the authorities and lack of competence with the Department. It is a matter of record that the Transport Department of GNCT of Delhi has collected huge amounts every year towards one time parking charges from vehicles being registered every year towards construction/development of parkings in the Capital City that was transferred to Municipal Corporation of Delhi. However, till date we are absolutely clueless about the purpose for which said amount has been spent. It is also matter of record the permits for Commercial Vehicles are granted on the basis of declaration by applicant to the effect that the owner has parking space. However, most of the Municipal parkings are occupied by such Commercial operators, instead of parking at declared space that eats away the parking space created for the visitors. 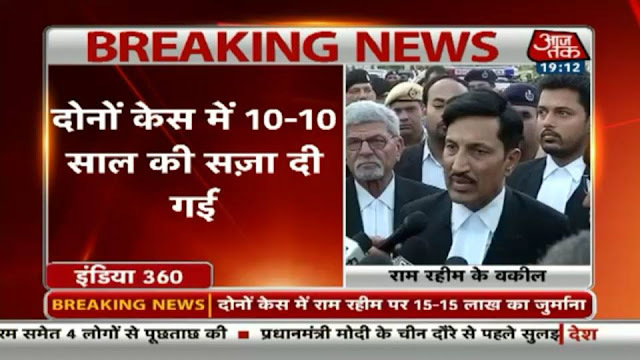 Apart from this despite Supreme Court Orders in IA No.13029/85 dated 20-11-1997, 10-12-1997 and 16-12-1997, based on affidavits filed by Transport Department, Delhi Police and Municipal Authorities that they would ensure that the extreme left of the road shall be earmarked for Bus Lane and shall not be allowed to be encroached upon. The fact remains that the Municipal Authorities and Delhi Traffic Police have allowed and auctioned parkings on Bus Lane. Leave alone this, even the Chartered Busses and tempos can be found parked in Bus Lane at night. Further, it is also matter of record that both the Delhi Police and Municipal Authorities have failed to rein in the Car Dealers from encroaching upon the service lanes and foot paths all around the city. Traffic Police has also granted permits to Taxi Stands allowing parking on Foot Paths. Therefore, we have serious apprehensions on the whole exercise that is being done, without enforcing the existing provisions of parking created, while allowing multistoried complexes all around Delhi that have been sold by the Builders and converted into shops. First and foremost requirement is to enforce the existing parking provisions that have been violated with impunity by one and all. (i) The Intermediate public transport system has collapsed as the TSR and Taxi drivers refuse to ply by meter and till date despite possessing ;'Khullar Committee Report dating back to 2002 wherein it was admitted that 80% of TSR are owned by Financial Cartel and corrective steps have not been taken at all. (h) Sale of number plate to buyer - there is an urgent need to dispense with fresh registration everytime by owner of vehicle, which is root cause of corruption and the transport department can never have the real data of vehicles. Once a number plate is sold to any buyer. Once he/she sells the vehicle, such vehicle must be remove the vehicle from that plate and should be entered in the number plate owned by the buyer intending to buy the vehicle. This would create real time data of vehicle in the city, that would help in assessing the parking space requirement. Further, before finalising the policy an opportunity of personal hearing may be granted to me. In view of the complexity of the issue and multiplicity of the authorities involved, I am marking copy of this mail to Hon'ble Lt. Governor, Delhi who is head of Delhi Police, DDA and UTTIPEC to look into the issues involved and bring all the authorities under one umbrella. DERC's view point on the issues raised by us ?